Looking to lower your student loan interest rate, reduce payments, or even combine student loans with your spouse? PenFed is one credit union offering amazingly low interest rates for qualified borrowers looking to refinance their student loans. 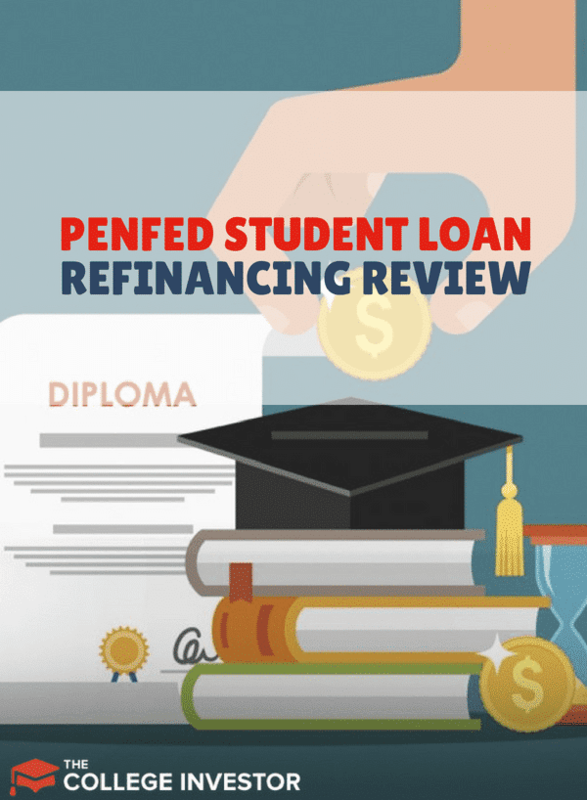 Is PenFed the right lender to refinance your student loans? This article explains the good and the bad of refinancing with PenFed. PenFed is one of multiple lenders on the Credible comparison platform. We love Credible because it allows you to compare multiple lenders in about 2 minutes. Check out how PenFed compares on Credible, and if you refinance through Credible, you'll get a $200 bonus! For more on student loan refinancing, check out our full list of the best places to refinance your student loans. Also, check out which lenders are currently offering the best student loan refinancing bonus offers. Let's dive in and look at PenFed. Who Can Refinance With PenFed? To refinance with PenFed, you must become a member of PenFed Credit Union. Thankfully, PenFed makes it very easy to join the credit union. You’re eligible if you’re a member of the U.S. military or uniformed services, a U.S. Federal Employee, a relative of either of those groups. You can also join by making a donation to National Military Family Association or Voices for America’s Troops, at no cost to you if you refinance your loans through PenFed. PenFed’s student loan refinance program is for people with strong credit history (usually that means a credit score of above 700, but you could apply with a lower score if you have an eligible cosigner). You also need to meet certain income eligibility. For loans up to $150,000 you must earn at least $42,000 or $25,000 if you have a cosigner that earns at least $42,000. For larger loans you need an income of at least $50,000 annually. For both loan types, PenFed offers terms of 5, 8, 12 and 15 years. Parents with Parent Plus loan or private education loans are also eligible for these loans. Check out our full guide on dealing with Parent PLUS Loans here. PenFed also offers a unique options for spouse’s who want to refinance their loans to a single payment. PenFed will allow married couples to refinance two loans into a single loan with a single monthly payment. They will also refinance the combined loan using the highest credit score, and using your combined income. This will give you the lowest possible interest rate on the combined loan. Please remember, all rates and terms are subject to change. These rates are current as of the date updated. For the most current rates and terms, please make sure you check out PenFed here. PenFed offers great rates and generous underwriting options, but it doesn’t offer any forbearance or deferment options. The credit union will work with individuals on a case by case basis if a borrower loses his or her job, or experiences another extraordinary circumstance. If PenFed grants forbearance, interest continues to accrue during the forbearance period. 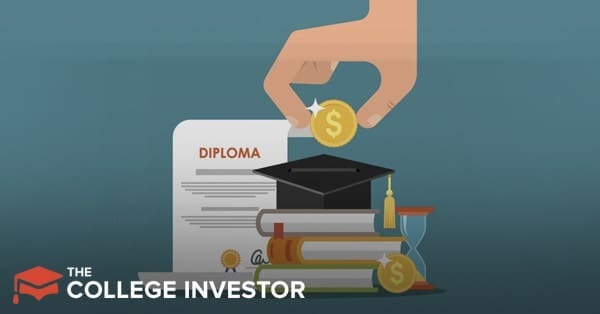 Anyone who cannot easily repay their loans, should opt to use income based repayment options through the Federal government rather than refinancing. Another area of possible concern is the number of people who may refinance with cosigners. Cosigners are jointly responsible for loan repayment, so if you fail to make a payment, it will hurt them and their credit score (and pocket book). PenFed offers a cosigner release program after 12 consecutive monthly payments (which is one of the best we've seen). However, to qualify you must meet the income and credit score standards set by PenFed. That may mean that some cosigners stay on the hook for the duration of the loan. Right now, PenFed offers great rates for people with strong incomes and strong credit scores. These are among the lowest rates you will find on student loan refinances. PenFed’s options for joint spouse refinancing, can make a lot of sense for couples that want to lower their interest rates. In fact, if one half of the couple has a poor credit score, PenFed is likely the best option for refinancing. Outside of joint spouse refinancing, PenFed could still be a great option. It has an easy way to get an estimate of your new interest rate, so you can easily compare the quote to other lenders. (Find other lenders using Credible).